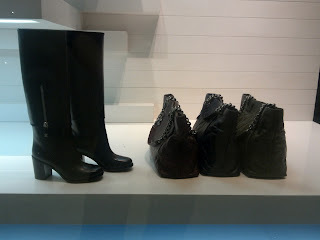 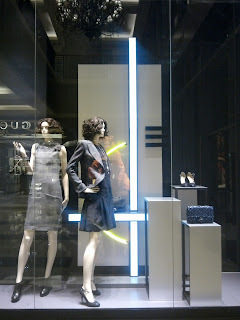 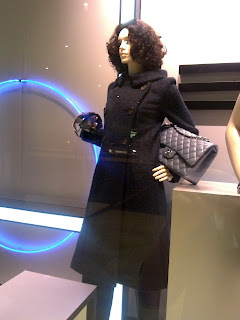 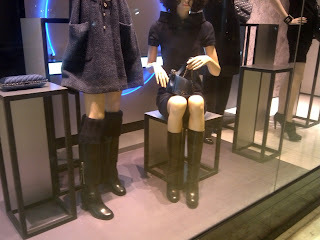 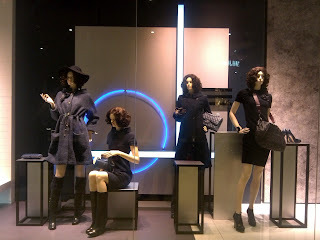 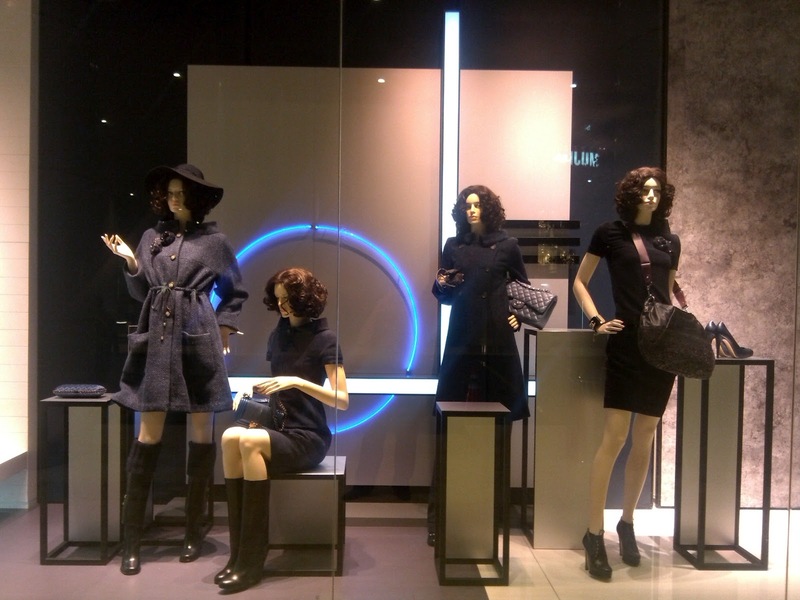 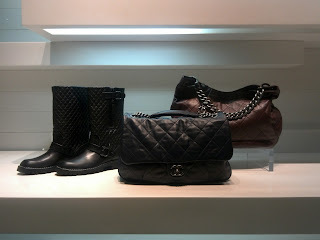 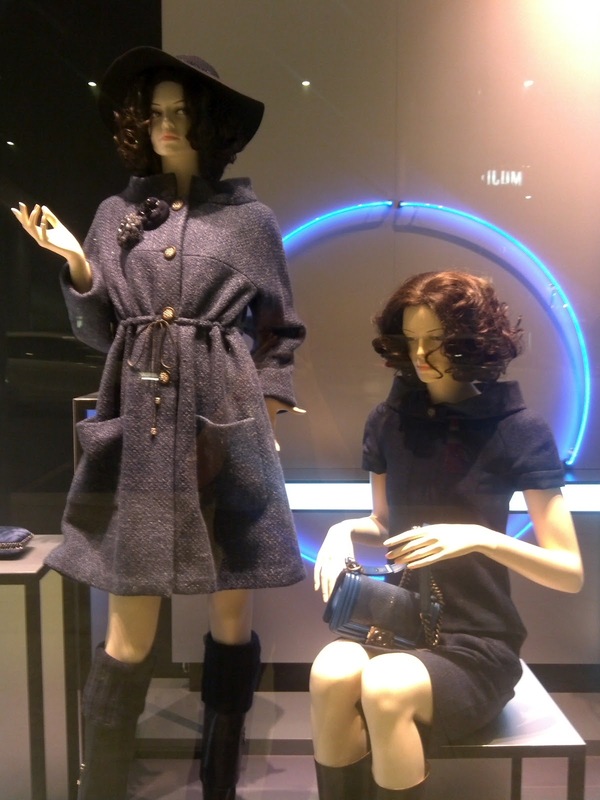 Plain boards, neon in circular or linear form, and tall boxes serve as table are the main background of the new Chanel window display for Fall 2012 season. 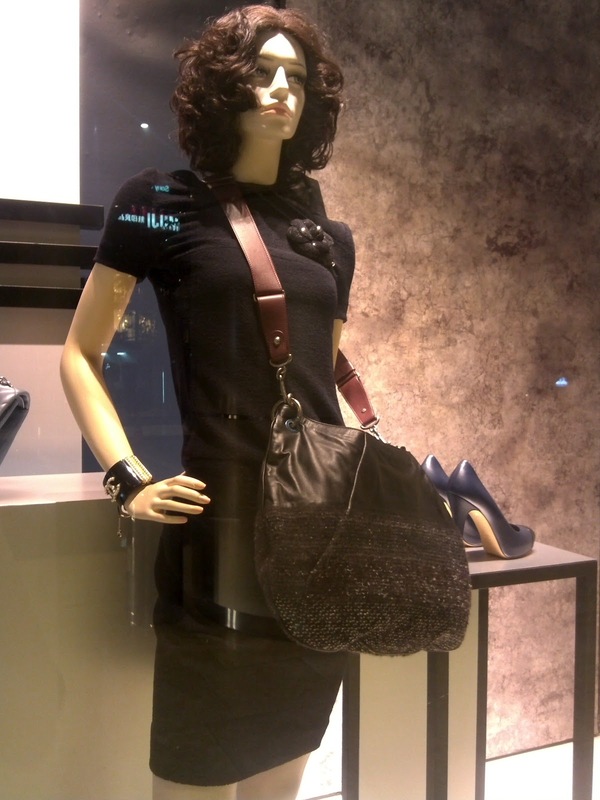 These decorations create a modern feeling toward the whole appearance of the display. There are no fussy decorations compared to the last seasons' underworld and Indian concept.